Last, took place on Thu, 25 Apr . Dates for upcoming sessions will be announced shortly. Dhana Air Strip, Sagar, Madhya Pradesh. Nearest Airports - Jabalpur and Bhopal are 3 to 5 hours drive. Does it set your heart racing and adrenaline pumping when you watch Nick Jojola jump out of an airplane or when adventure junkies dive headfirst with nothing but a parachute strapped on? Have you always yearned for that ultimate experience? 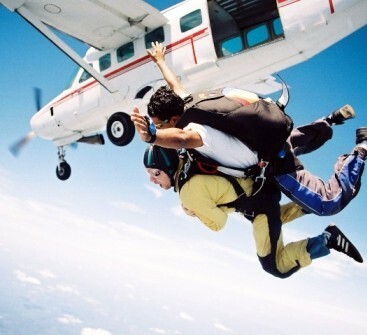 Then this skydiving camp is the answer for your longstanding desires. 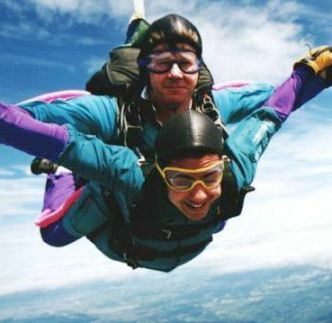 If you think jumping out of a perfectly safe airplane hundreds of feet from land is sane, then the trainers at the Skydiving camp will show you how. Freefall your way in the skies and be one with the wind. This camp is surely any adventure junkie's idea of pure Nirvana. So get strapping and jumping as your friends are still sitting at home watching Adventure sports on TV. Its a 3 day solo/static line self jump skydiving camp and the package is inclusive of 1 day of ground training. 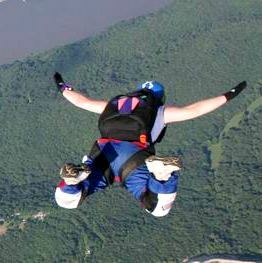 It is the conventional method of skydiving and is used in sport parachuting as the first step in skydiving training. 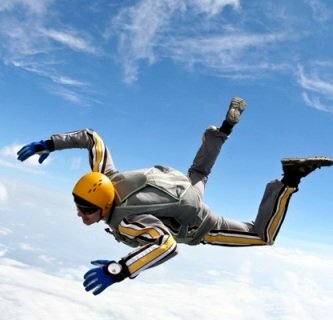 The dive is made from approximately 4,000 feet above the ground after proper training. A line attached from the parachute to the aircraft opens the parachute as the student falls away. All the skydiving instructors are highly experienced Sky Divers and are USPA (United States Parachuting Association) certified with over thousands of jumps logged by each one of them. All possible health, safety and medical needs have been given top most priority for the skydiving camp. The equipment and gears used for the skydiving camps are state-of-the-art standard. Highest orders of audits are maintained for all life saving assets/equipments. We are committed to delivering a Safe and Adrenaline packed Experience for all participants. Air- Nearest airports are Jabalpur and Bhopal. Each of these airports are nearly 180 to 200 km from Sagar. It takes 3 to 5 hours by road to these airports. You can get private transport from these airports to Sagar easily. Rail- Sagar has a well connected railway station where you can reach directly from Delhi or Mumbai. You can also reach Bina which is approx 80 kms drive from Sagar or Jabalpur and Bhopal which are at 3 to 5 hour drive from Sagar. 80% of the net amount would be refunded for Cancellations on or before 21 days of the camp dates. 60% of the net amount would be refunded for Cancellations on or before 14 days of the camp dates. Cancellations within 14 days are Non-refundable. Dive Adjustment Policy - In case you have paid up and are unable to make it to the camp, your total paid up amount would be adjusted with any dive you undertake with us within a year at any of our DropZone locations across India. 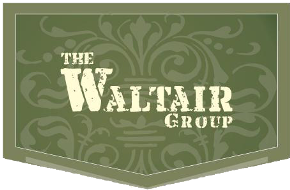 The Waltair Group is owned by an ever growing team of enthusiastic professionals. Together they have many years of experience in management, finance, legal and communications. The Waltair family have focused our higher education toward researching and designing Escapade Thrills. The Team brings to the company both educational insight and "real life" experience. They are pioneers in Skydiving in India. Escapade Thrills Adventure Sports Co. promotes human power and natural environment and has great strategic tie ups with Companies globally having a history of highly satisfied customers and a quality brochure vital in an industry that is based on perception rather than reality. All the thrills minus the risk. Skydive with a trainer! Experience free fall! Take that adrenaline shot to the maximum! We have requested Waltair Group to get in touch with you. Alternatively you can speak to Ronak Das from Waltair Group at: +91-9343638695 / 98 , in case you would like an immediate response. You will now stay updated about, Sky Diving - Solo .